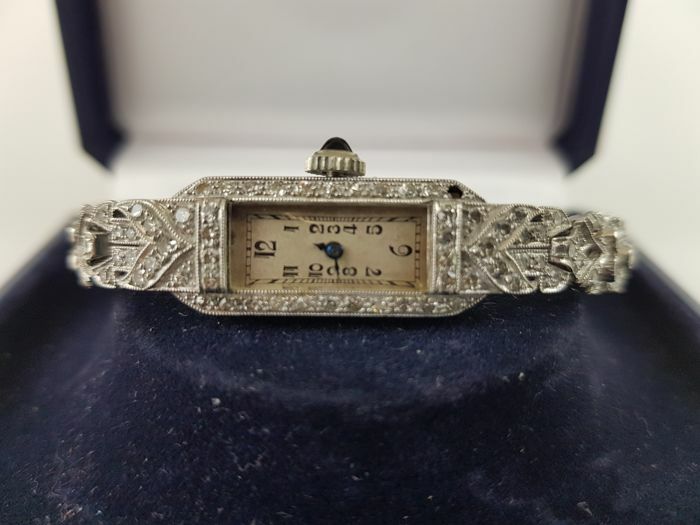 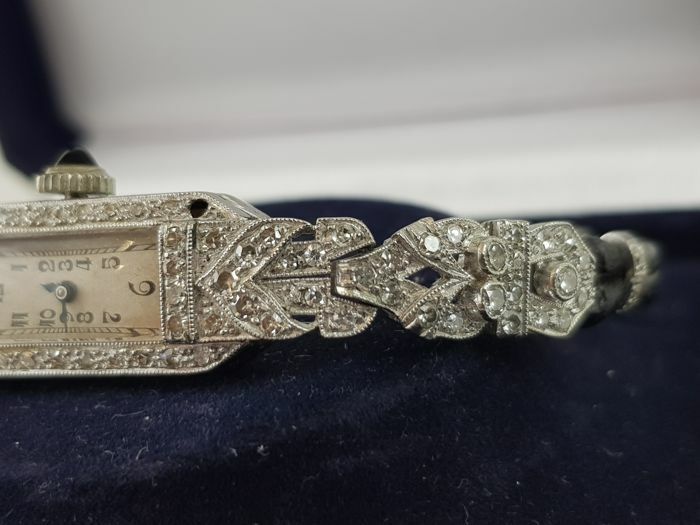 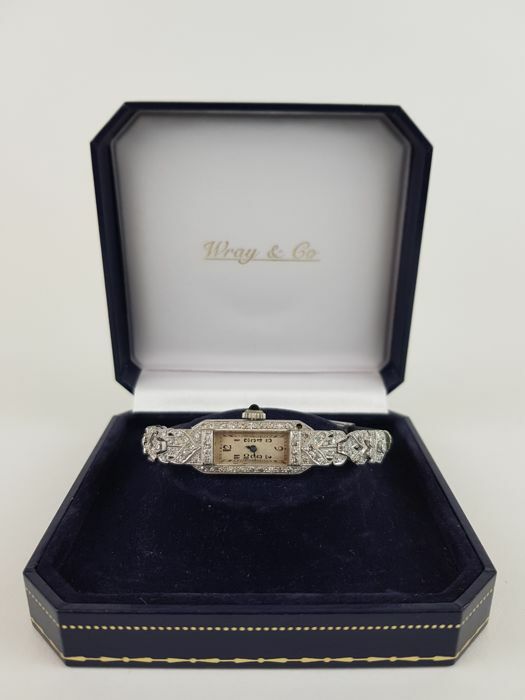 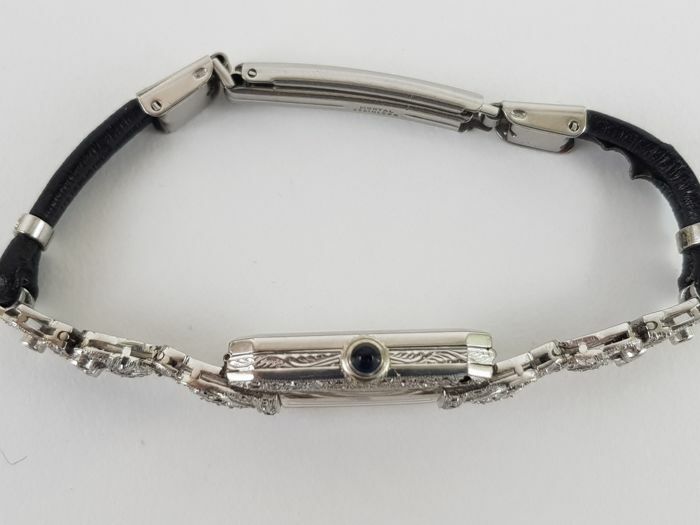 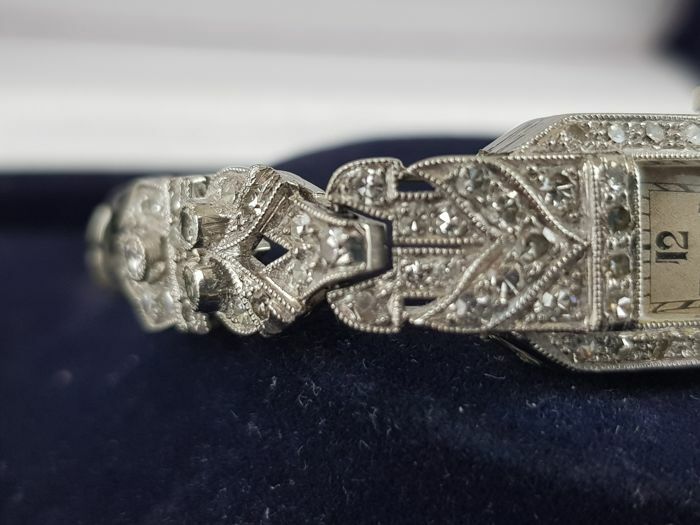 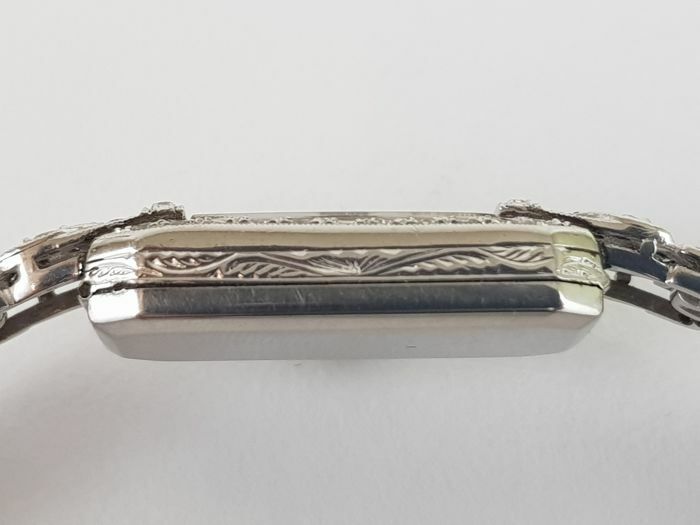 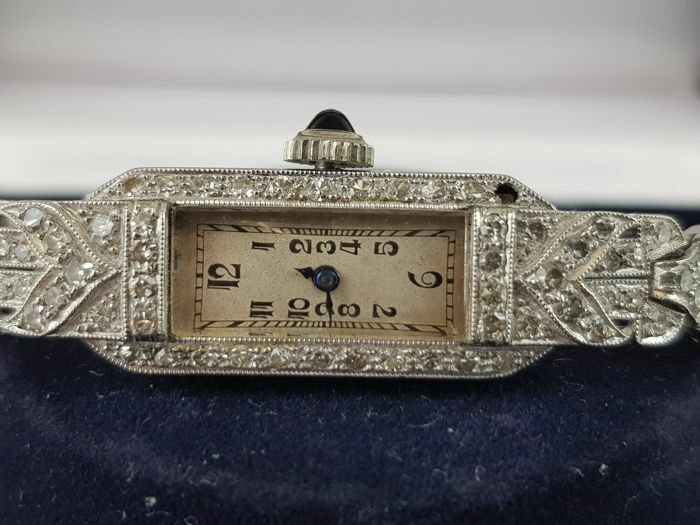 An Unmarked Platinum and Diamond set Lady's cocktail watch, with rectangular dial and numbers, and sapphire cabochon to the winding crown, Please note the mechanical has been changed to battery operation and one diamond to the bezel is missing. 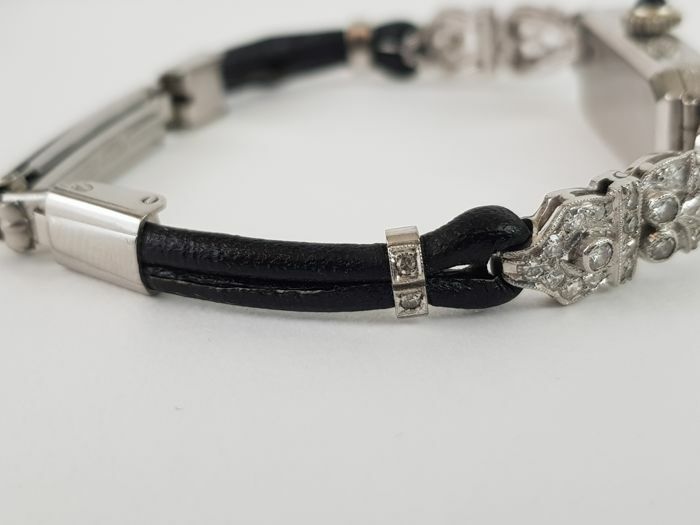 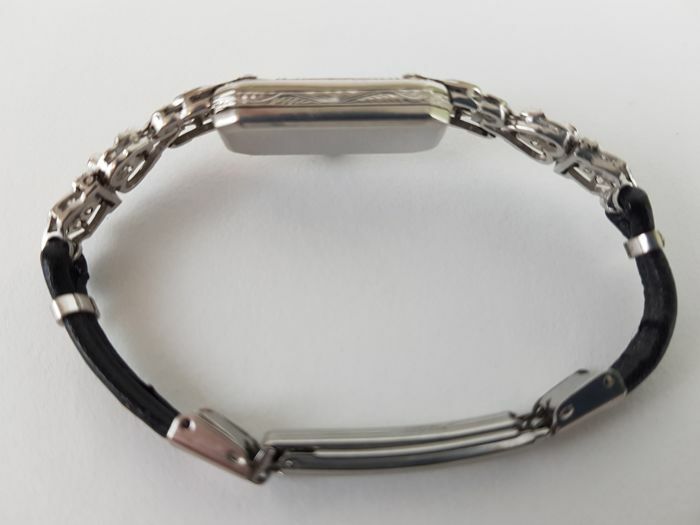 strap length 13 cm, case size 2 cm x 1 cm. 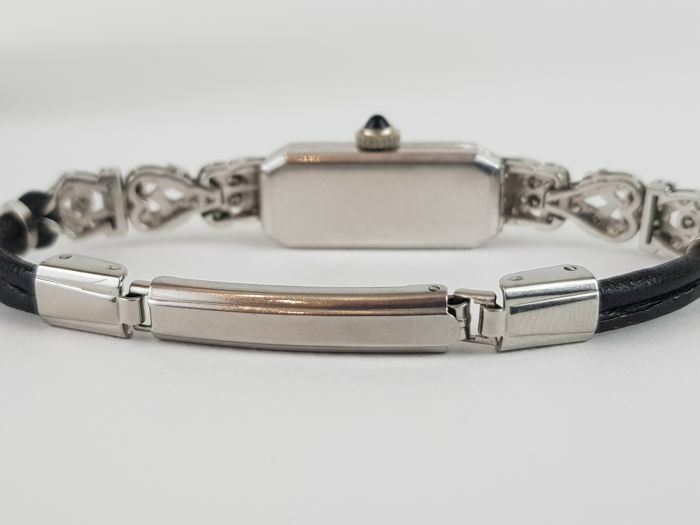 This item will be shipped "Internationally Tracked and Signed for".